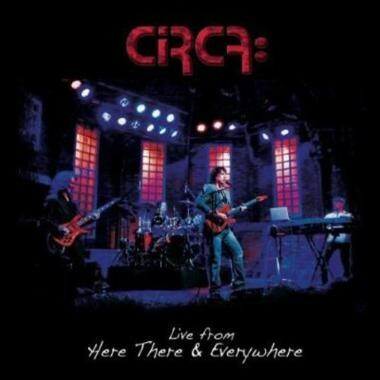 Circa is the long running collaboration between Yes alumni Tony Kaye (keyboards) and Billy Sherwood (guitars and vocals) that has seen the release of three studio albums to date and now we have this live album that takes in various shows from the bands 2012 dates in both North and South America. Yes drummer Alan White was an original member of Circa, both playing and co-writing every song on their 2007 eponymous debut album, but with the veteran proggers return to regular touring White's tenure with Circa proved to be short lived. The current rhythm section is made up of session bassist Rick "Rat" Tierney (Alice Cooper, The Monkees) and drummer Scott Connor. Connor was previously a member of Yoso, the somewhat ill-advised attempt by Kaye and Sherwood, together with Bobby Kimball, to create a Yes/Toto hybrid that gave us a version of 'Owner of a Lonely Heart' which managed to be a notch down from extremely bad karaoke. 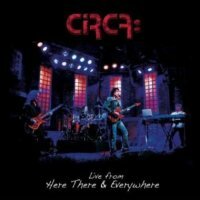 Thankfully, 'Live from Here There and Everywhere' avoids the pitfalls of tackling back catalogue Yes songs and concentrates firmly on Circa's studio output. Musically, Circa are about Kaye's trademark warm and appealing Hammond, combined with Sherwood's contemplative and reflective vocals. There are suitable opportunities for all four members to have the opportunity to shine; particularly on the songs that stretch to more than ten minutes, 'And So On', 'Remember along the Way' and 'If It's Not Too Late'. There is clearly a successful dynamic between Sherwood and Kaye, both in terms of song writing and on stage; but the intricate drum patterns and melodic bass ensure this is more than a two man show. Evidently not scarred too badly from Yoso's disastrous UK tour a couple of years back, Sherwood has started Circa's intention to come to Europe and support the release of 'Live From Here There and Everywhere'. Yes aficionados can be assured they will find references to the bands late 60's output and the Trevor Rabin led commercial era of the 80's, making Circa a more than worthy addition to the most complicated family tree in progressive rock.